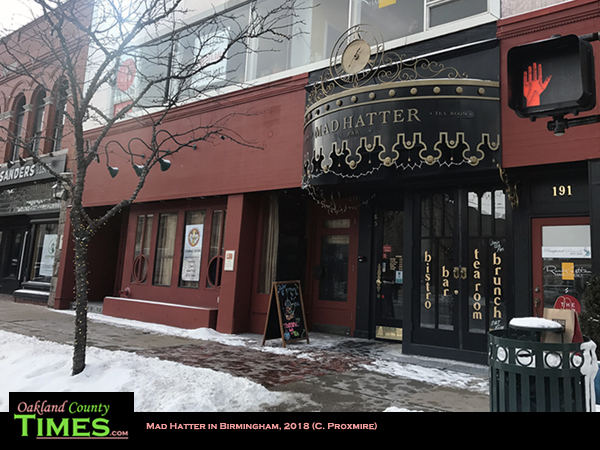 Birmingham, MI – For a whimsical and tasty lunch in Downtown Birmingham, Mad Hatter was a good choice. I met a source there for a story and was impressed with the cuteness of the decor. Long royal-colored curtains, and cheerful artwork made it a neat little place for a quiet lunch. 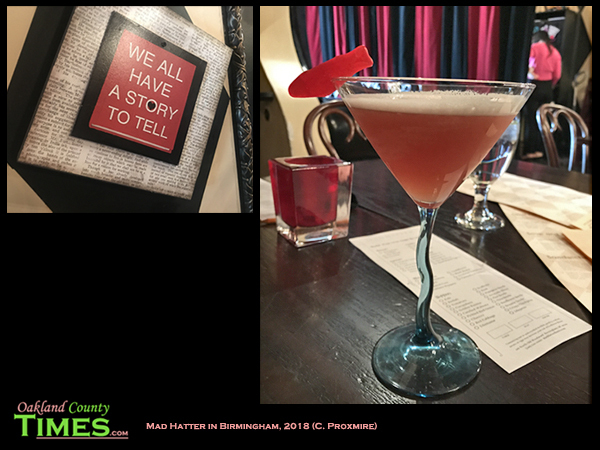 Plus, my drink had a little Sweedish Fish on the rim and a glass with a zig zag stem. 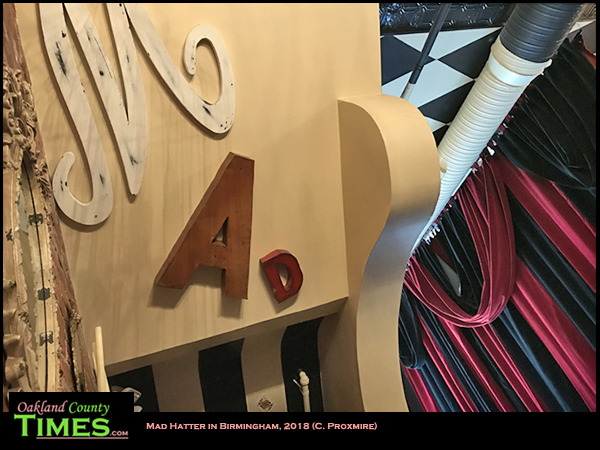 What can I say, I am delighted by little details that make local restaurants like Mad Hatter unique. The “Pom and Circumstance” was made with vodka, pomegranate, pineapple, pear and garnished with the Sweedish Fish. 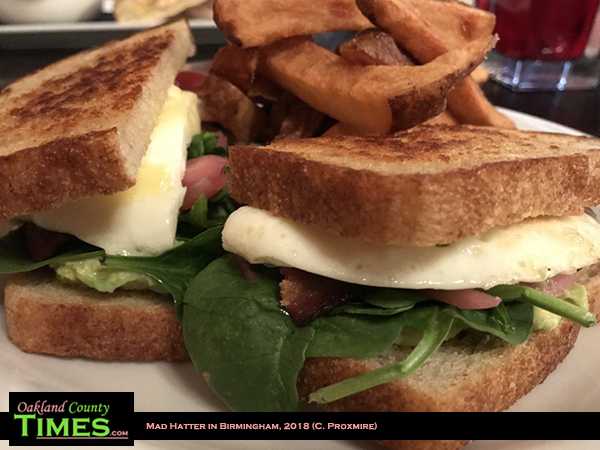 I had that along with an incredible sandwich called “Dodo’s Egg.” This was a fried egg on sourdough bread with bacon, spinach, avocado, and pickled red onion. The combination was delightful. 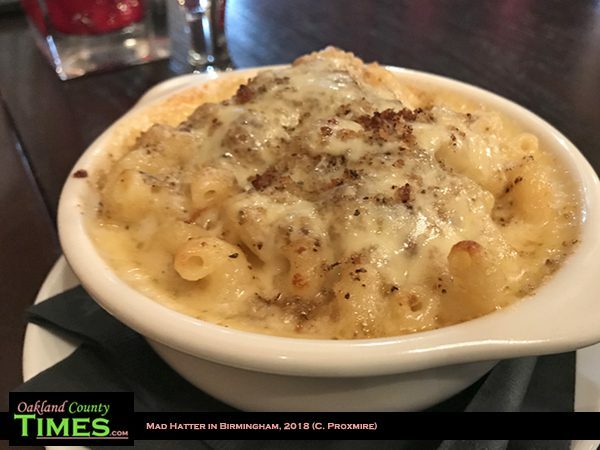 I also had mac and cheese which is cavatappi with a three cheese blend and herbed breadcrumbs on top. 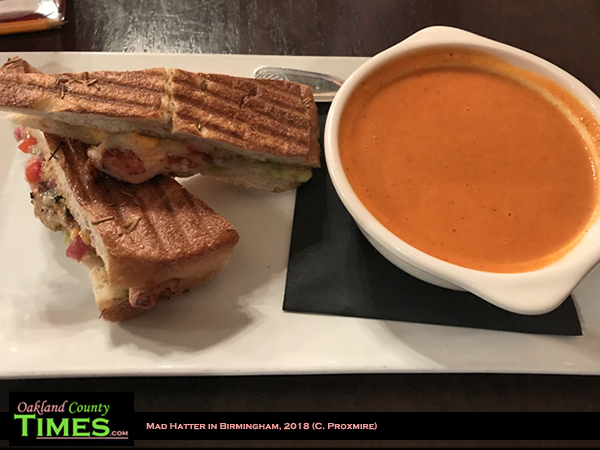 The informant, whose identity I am obligated to protect, had a chicken panini with tomato soup. 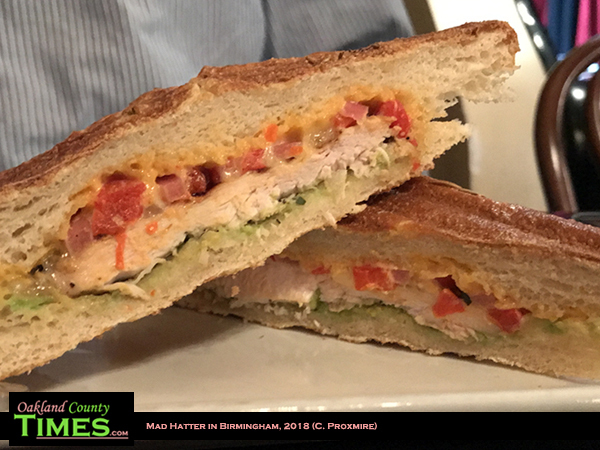 The panini is made with all natural chicken breast, avocado, roasted pepper, Flagship Cheddar, and pickled red onions on Focaccia bread. 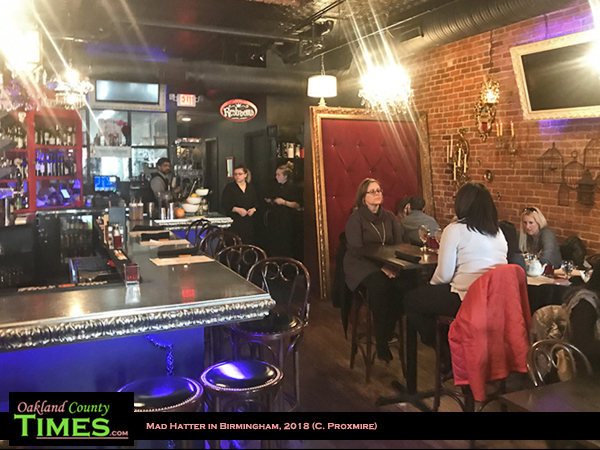 Check out more about Mad Hatter at http://www.madhatterbistro.com/.